“Excellent service, I would highlight recommend AWHC. From the moment I walked in the door I was given step by step process of how to attain PR. I attained PR in little under 6 months which is super quick. Maria was always easily contactable, full of information and fast acting. I found AWHC an extremely diligent, competent, concise and easy to deal with. ……Everyone here at AHWC is 100% focussed on helping you achieve your dream of living in Australia. We do not succeed unless you do. We provide fixed fee services, so there are no hidden extra costs once you engage us. Engage our services and you’ll get a friendly, smart and strategic team of migration professionals on your side with over 40+ years of experience amongst us. 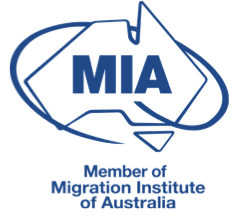 We ensure perfect solutions to your Australian migration needs, whether you need a visa yourself, want your partner to stay, want your parents to migrate to Australia, have overstayed your visa, are an investor, an employer, have had a visa refused, or have health or character issues. We’ll always take your call and you will have our mobile phone numbers as soon as you engage us. Our clients love us (See what they say). Join their club. We also provide a full range of other immigration law services, including reviews of adverse decisions, character submissions, health waiver applications and appeal of citizenship refusals.We also assist employers prepare for and deal with DIBP monitoring requests and compliance issues. Most of our clients are located in Australia, but many are also spread around the world. We are passionate about what we do and genuinely care about our clients. With one exception we are all immigrants ourselves who have gone through the process of applying for a visa to come to Australia. Consequently, we know what’s at stake and fully empathise with our clients. Why not make an appointment with one of our migration agents or immigration lawyers so that we can discuss your particular issues with you. You’ll come away with a perfect migration plan, including what to expect costs wise. Get AHWC Immigration Law in your corner – you won’t regret it!